Dr Ambrose Yung is a specialist orthopaedic consultant with experience in hip fracture surgery, partial knee replacement, complex primary total knee replacement, revision knee replacement, minimal invasive knee and shoulder sports surgery, sports injuries, degeneration problems. In spinal disorders, Dr. Tung aims for motion preservation, reversible treatments that can be repeated in preference to fusion. In the last 15 years he has performed operations using non-invasive techniques like stereotactic radio surgery (SRS) and stereotactic radio surgery (SRT) for brain tumours, minimally invasive techniques with endoscope-assisted method to access the pituitary adenoma, treat hydrocephalus and ventricular tumours, spinal laminectomy for spinal tumours, facet joint injections, cervical and lumbar disc replacements, spinal decompression and fusion, and endoscopic thoracic sympathectomy for sweaty palms. 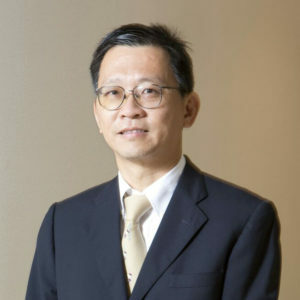 Dr. Tung pursues continued medical education eagerly and keeps abreast of latest techniques by attending courses and attachment in Europe (SRS, SRT, spinal surgery and disc replacement), America (skull base approaches to acoustic neuroma) and China (endovascular techniques for vascular disorders). Orthopaedics, specialising in degenerative, chronic orthopaedic condition and sports injuries to the musculoskeletal system with an exceptional record in orthopaedic treatment especially to the Knees, Hip, Elbow, Foot and Ankle, Wrist and Hand, and Shoulder joints.